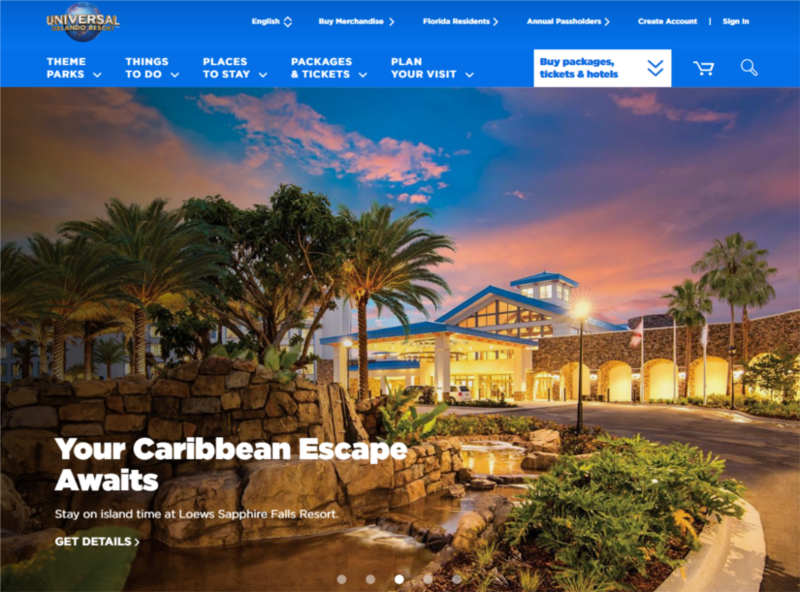 The official website of the Universal Orlando Resort just got a major makeover with redesigned features to make it even easier for Guests to navigate it. Visitors to the site can now filter by their interests to find the exact adventures they want and locate key information quickly and easily with a simplified navigation that is user-oriented and more intuitive. Plus bold, beautiful images and videos make it all come alive. Each venue now includes page attributes: easy-to-spot, top-level details, and more. Guests can also see how much there is to explore — and find their way around the resort — with the new interactive map. And to make the site accessible for blind and visually impaired users, PDFs, and other content is currently in-page, making it compatible with screen readers. Buying tickets, vacation packages, and on-site hotel stays from anywhere on the site is easier than ever with the updated booking widget. Guests can also see what others are saying about top rides, shows, and attractions, or write reviews of their own to share with friends. And they can do it all on a laptop, tablet, or on the go thanks to the responsiveness of the mobile and tablet-friendly design. 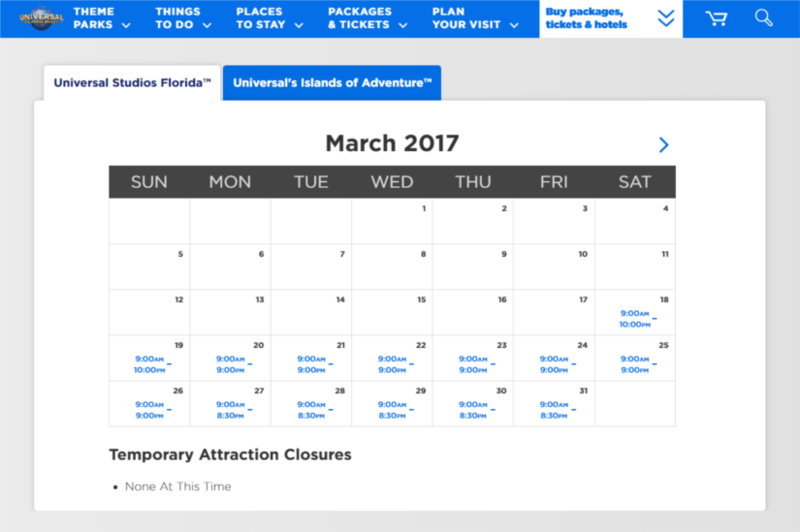 WEBSITE SCREENSHOTS: © 2017 Universal Orlando Resort. All Rights Reserved.